2 Beds 2 Baths 1,080 Sq. ft. Priced way below market! !Seller used as rental & now time for new owner to put their own touches on this ground floor 2 bedroom condo!Location Location Location!That is most important in real estate!This is a hop, skip & a jump to the St Johns Town Center!Perfect for investor, college students, first time home buyers or headed into elderhood & don't want anymore outside maintenance to deal with!! 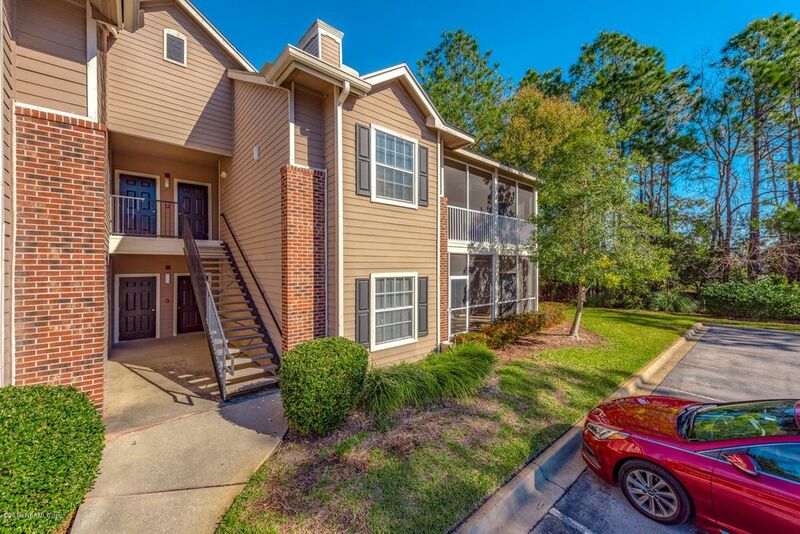 There are 2 master bedrooms & indoor laundry w/ w/d included! Condo needs a little tender loving care but who doesn't!? Priced to sell! Great gated community w/amenities & low fees! Power is not on currently. It was recently, long time tenant just left. Check recent comps! The dues cover common amenities, Tennis Court, Pool, Gym, Clubhouse, Insurance & Landscape. Directions: From Southside Blvd, east on Gate Parkway, t/r info Sail Cove Condo complex, thru gate, t/l follow to Bdg 16 on left (park across from row of garages) - 1615 is bottom right of right side breezeway.